After long periods of quiet market action, equity markets have come to life, providing newfound riches to active traders. After dropping 16.15 points (SPY) last week, closing the week at 258.05, stock markets soared on Monday, rising more than 7 points to 265.11 on to give much of that back today, with the market closing at 260.76. 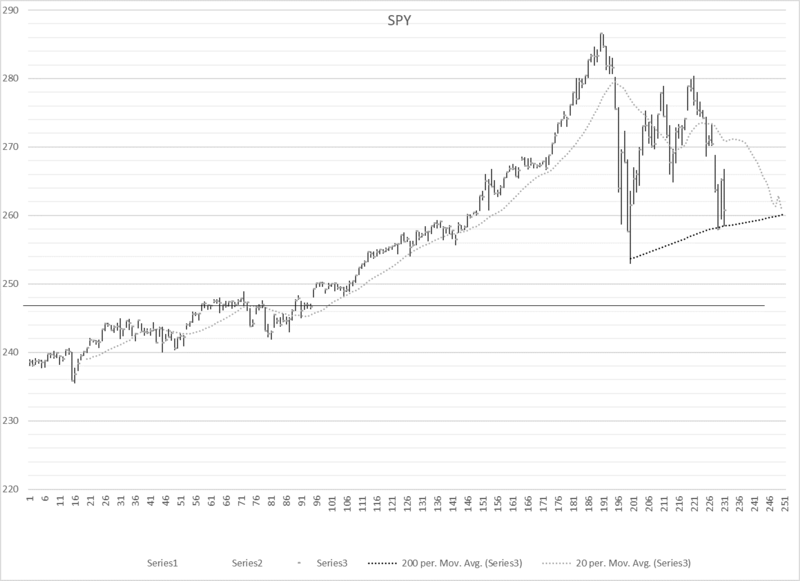 On a positive note, SPY continued to hold the 200 day average. For many, this is significant so if we break below, we could see a waterfall event bringing price down to around 250 and perhaps even lower. More details as we progress during the week. 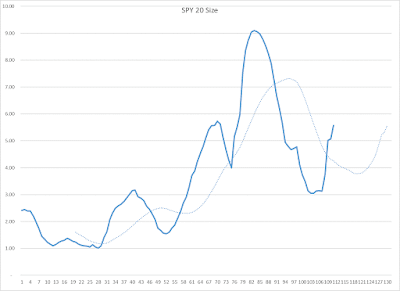 Another positive sign is a short term stochastics indicator. On the bright side, this indicator is starting to turn up. But it will need to go a bit higher before market players will take serious notice. Usually a break above 20 can bring in buyers. 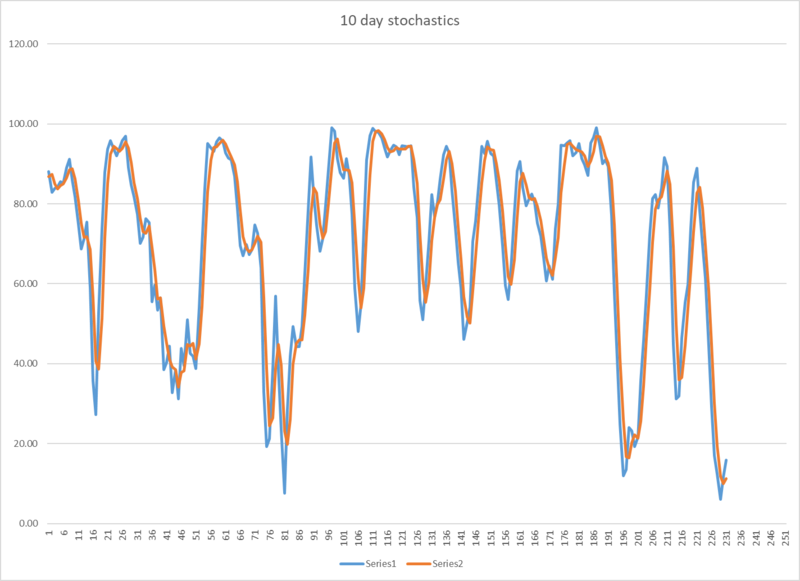 Stochastics is an indicator that looks at the ranges of the highs and lows for a recent period of time and shows were the current closing price is in relation to that range. A rising indicator shows momentum building. 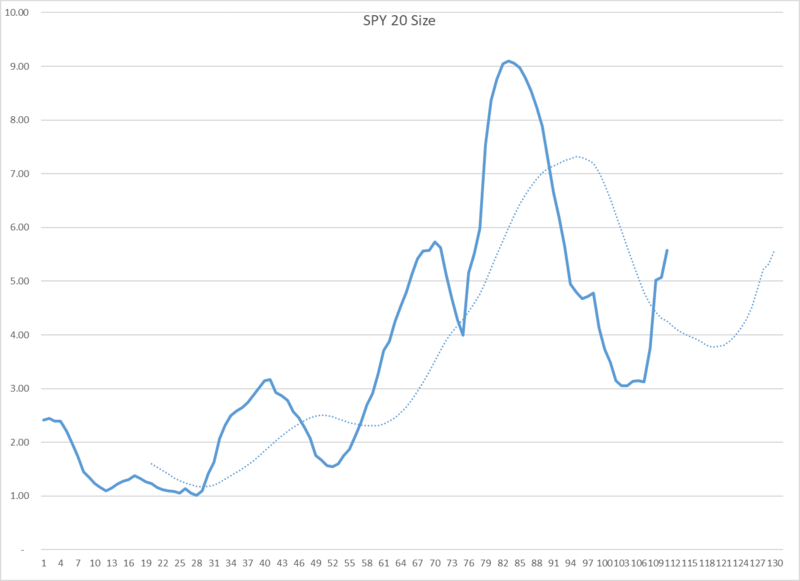 On the negative side of the equation, short term volatility is increasing. When this SIZE indicator is increasing, you need to stay with the trend, which for the moment, is down. When this indicator reverses, it is often a good signal to enter the market as the strength of the trend is starting to diminish. Overall though, I continue to look for opportunities to build a position in anticipation for a possible rally to the highs, as soon as next month! 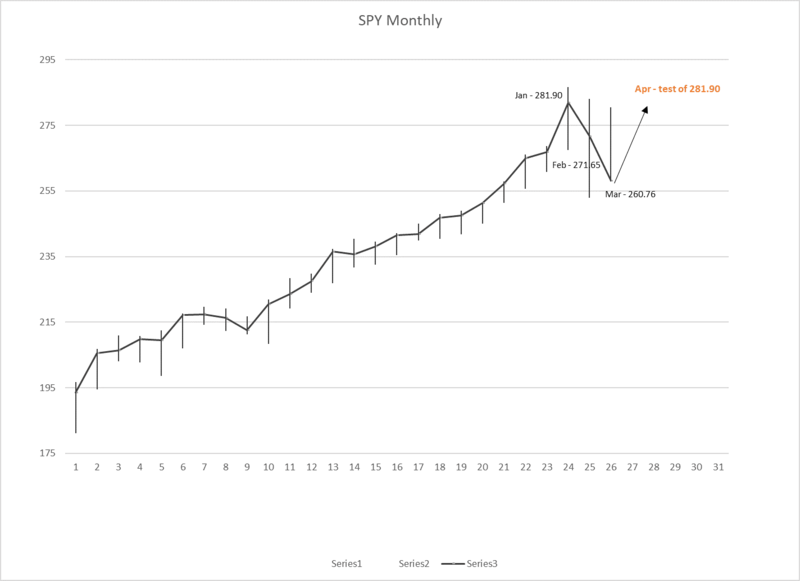 The monthly chart shows how I expect this to play out. January marks the closing high point. 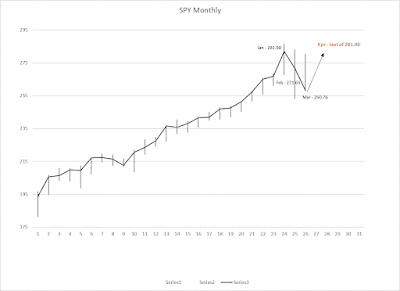 February was lower and March is a good bet to close lower yet. But I expect that come the end of April, prices will try to move above January's high. If it does, we can expect the market to continue on to much higher levels. If we fail to make a new high, on the close, then I would be positioning for a decline, possibly very significant. Currently, I have several positions working for me. As the market has been volatile, it has provided good opportunities to buy call options, for possible moves higher, and put options for possible moves lower. 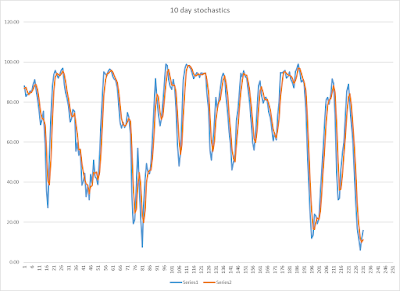 With the level of volatility we are experiencing, if one is paying attention to the squiggles of the market, it's possible to take positions at good prices, for both market directions. 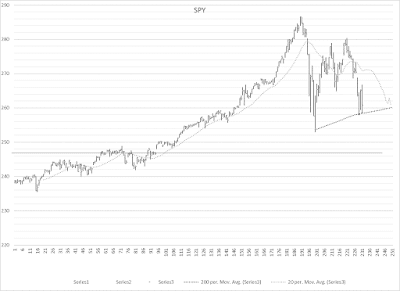 And the kicker is, no matter which direction the market moves, if volatility is high enough, one could profit. More on these details in the future. Bottom line here, as SIZE is increasing, I expect lower prices in the near term but expect to test the highs next month.